Please note that this is a more trim fitting style. We recommend to size up one size on this style. Elegant and functional, the Arctica Down F10 Parka is designed specifically for frigid conditions. Durable and breathable shell fabric keeps you protected from wind and cold. 650 fill power goose down traps body heat. Removable down filled hood has a faux fur removable trim. Interior build includes nylon fabric that is very soft, lightweight and slips on easily over your layers. Hand warmer, cargo and pass pockets. Interior features zippered chest pocket. Reflective logos for safety. 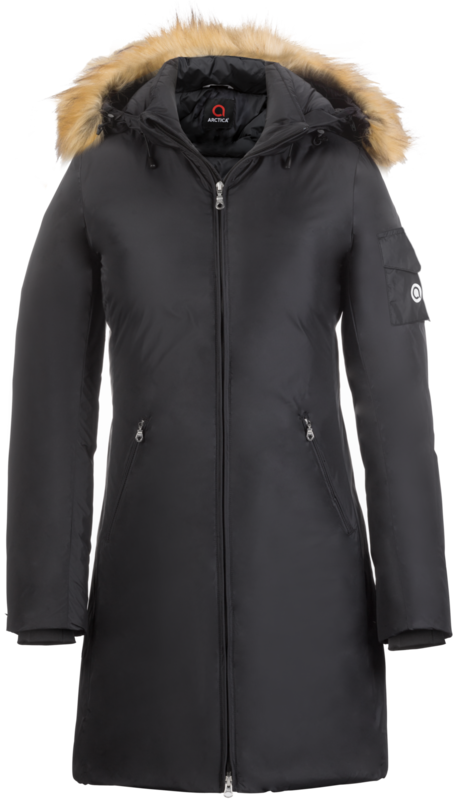 This is a great coat at a fantastic price but it does not seem to be a full size smaller as they describe. I ordered a large for my daughter and it is comparable to a large Northface Parka that my wife has. Just want you to know since there are no exchanges. It is borderline too big.